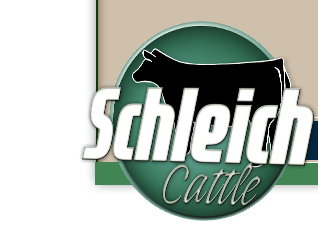 Schleich Cattle will be offering cattle for sale by private treaty throughout the year as well as consigning cattle to the Lamoine Valley Angus sale each year. Watch this page for our updated sale information. We invite you to call us anytime to discuss our current sale listings. More sale details are available at illinoisbeefexpo.com, and please contact us with any questions. Sired by: Broker, Blaze of Glory, Relentless, No Worries, Here I Am, Primo, Renown, Ten Speed and Commando. Want more information? Thank you for visiting our site and learning more about our program. If we can assist you with learning more about Schleich Cattle please contact us.